Request to Meet Murdock Here! 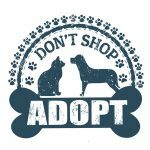 There is a $75 adoption/rehoming fee. Supplies and vet records will be included. Sometimes the only thing that stands between having a good dog and a great dog is the right situation. Murdock is just such a dog. 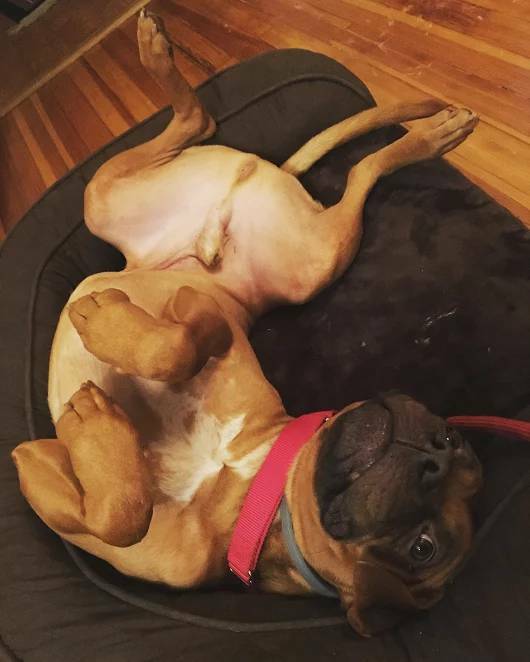 He’s the cutest, clowniest young dog – a handsome male Boxer mix. Murdock is healthy, neutered and house broken. He has had extensive obedience training and is very good with children and people of all ages – whether part of the family or visitors to the home. Murdock has the most endearing personality. He loves people with everything he has. He is polite, obedient, affectionate, incredibly cuddly and a wonderful companion. Ahem, Ahem!! Tummy rubs, please! Murdock’s only fault is that he is not good with other dogs. Murdock is an “Alpha Dog” and needs to be the only dog in the home, with a large, securely fenced yard. His owners adopted him from a rescue and were told that he was very good with other dogs. Not so much, it turns out. As much as they dearly love Murdock, his owners do not have the right environment for him where he will be kept separate from other dogs. He has been in a few scuffles with neighbor dogs already, and they have been told that Murdock must go. 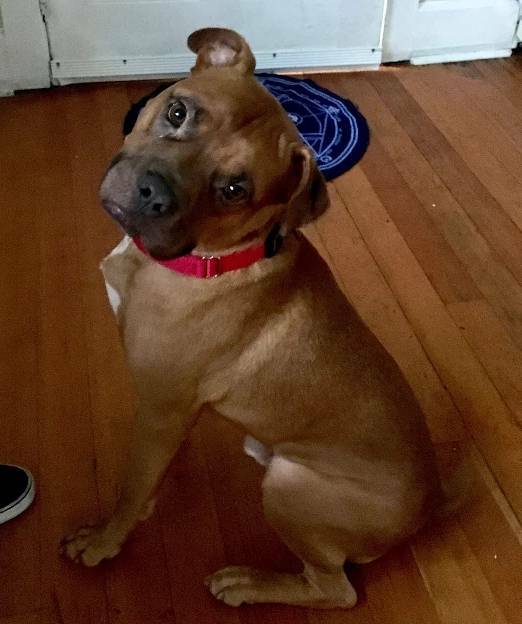 The owners are desperately trying to find Murdock the home that he deserves. A family with some wonderful kids to play with. A home with owners who have lots of time to give him the attention, exercise and playtime he needs and deserves. And a home where he will be securely contained, so that he is not at risk from – or a risk to – other dogs in the neighborhood. Murdock will be rehomed with supplies and vet records. Please offer this sweet dog the loving home he deserves. He can’t wait to wiggle his way into your heart. 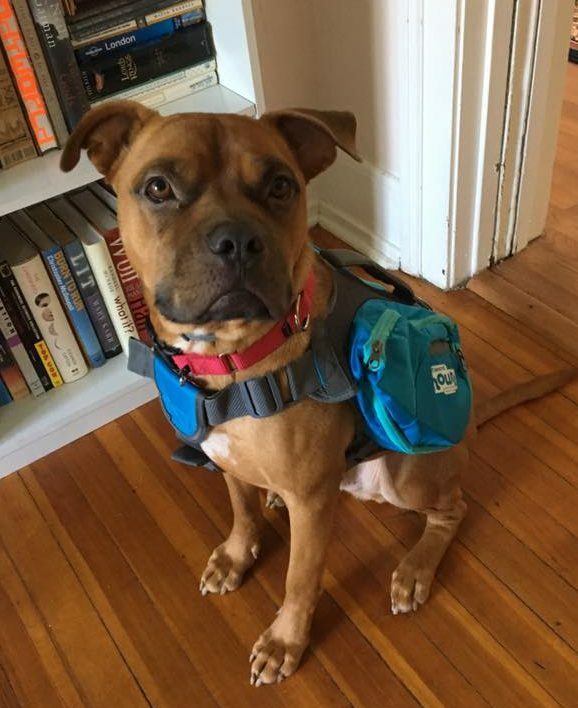 Murdock is all packed and ready to meet his forever family! Health Issues: Previously had heart worm, but has been successfully treated. 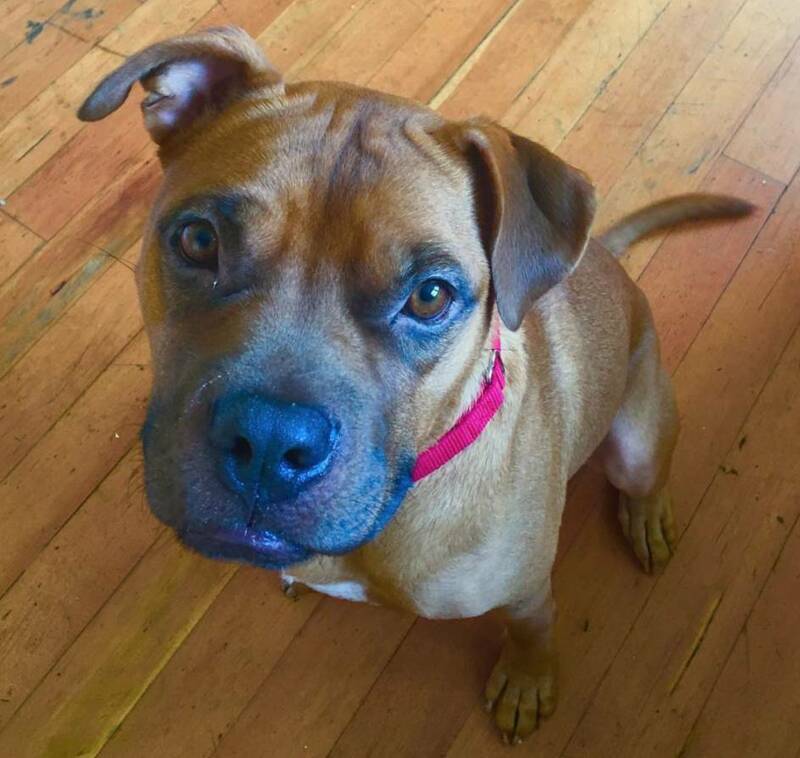 Behavior Issues: No – He needs a home where he is the only dog. Murdock has never met a person he does’nt like. He is a silly 2 year old kid in an incredibly cute dog’s body. You will not be able to meet him without wanting to smush his face. He rarely barks and loves head pets, nylabones and baby carrots above all other things in life. He is a big cuddle bug and loves excitement in the house. He is extremely food motivated and smart. As a result, he is extremely trainable. He learns commands so quickly! Murdock has lived with female dogs in the past and got along well, but has been in a few scuffles with other male dogs. We don’t know how he would do with cats or other animals, but he may be able to learn. Murdock loves chasing a flirt pole, going for walks, solving food puzzles, doing obedience tricks for food, meeting new people and watching people eat to name a few activities. 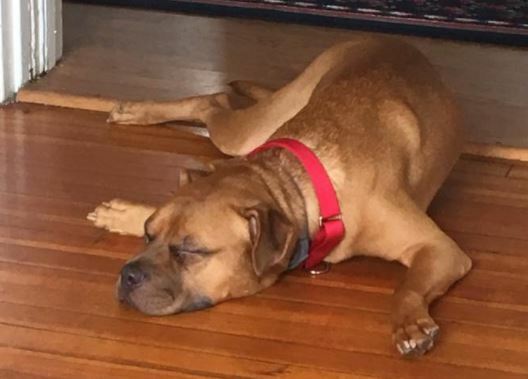 He is very well house broken, leash trained, crate trained, and knows basic obedience including “down”, “get in your bed”, “leave it”, “gentle”; when taking treats, and “out” for toys. Murdock has been trained using both an ecollar and prong collar and has done well with both. He needs strict boundaries and firm training or he (like most 2 year olds) thinks he runs the house. He does have occasional issues with jumping on people and can gently nip when he is over excited. He also eats ANYTHING, including (but not limited to) kale, headphones, lemons, weight lifting gloves, and DVDs. We adopted Murdock from a foster home rescue agency. We share a yard with three other dogs, so we emphasized we needed a dog who was dog friendly. We have pictures and videos of Murdock playing with and living with other dogs. Murdock got into multiple fights with our neighbor’s dogs which resulted in injuries. Although our landlord was very understanding, and the owner did not press charges, we were told if it happened again we could no longer live at our home. We’ve worked with a private trainer to have his behavior assessed and try to increase socialization. The trainer said he was a “dominant dog”and would likely not ever be able to co-exist peacefully with our neighbor’s dogs. As a result, we can no longer provide an environment that is safe for him and for the other dogs. 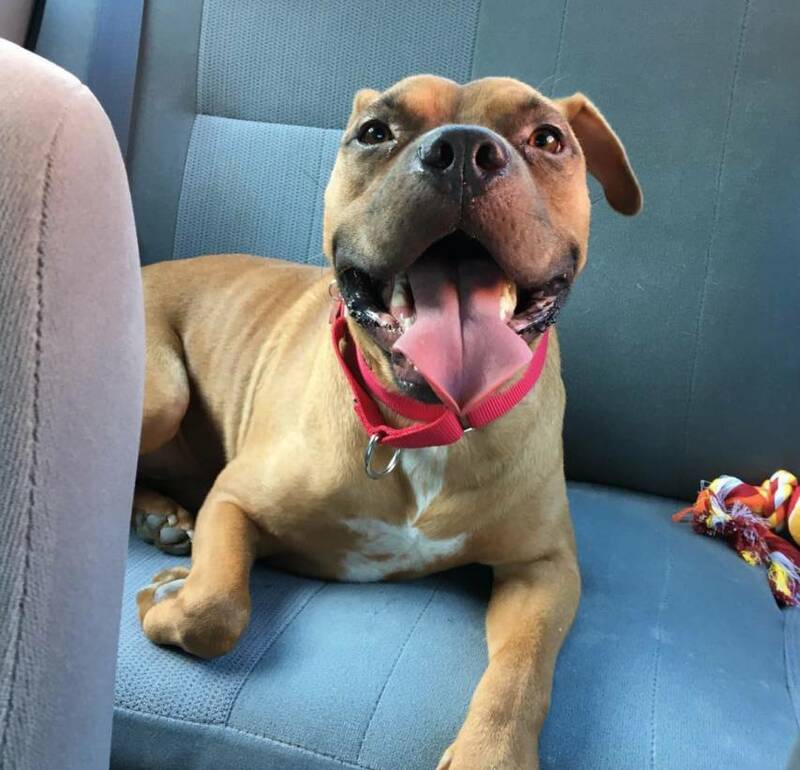 Once received, we will contact you to discuss your request and set up a mutually convenient time to meet Murdock and his owners in their home. 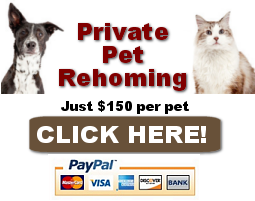 Finding good homes for preloved dogs, cats, puppies and kittens throughout Pennsylvania.